September 9 is the 252nd day of the year(253rd in leap years) in the Gregorian calendar.There are 113 days remaining until the end of the year. 9 AD – Arminius' alliance of six Germanic tribes ambushes and annihilates three Roman legions of Publius Quinctilius Varus in the Battle of the Teutoburg Forest. 337 – Constantine II, Constantius II, and Constans succeed their father Constantine I as co-emperors. The Roman Empire is divided between the three Augusti. 533 – A Byzantine army of 15,000 men under Belisarius lands at Caput Vada (modern Tunisia) and marches to Carthage. 1000 – Battle of Svolder, Viking Age. 1087 – William Rufus becomes King of England, taking the title William II, (reigned until 1100). 1141 – Yelü Dashi, the Liao dynasty general who founded the Qara Khitai, defeats the Seljuq and Kara-Khanid forces at the Battle of Qatwan. 1320 – In the Battle of Saint George, the Byzantines under Andronikos Asen ambush and defeat the forces of the Principality of Achaea, securing possession of Arcadia. 1379 – Treaty of Neuberg, splitting the Austrian Habsburg lands between the Habsburg dukes Albert III and Leopold III. 1488 – Anne becomes sovereign Duchess of Brittany, becoming a central figure in the struggle for influence that leads to the union of Brittany and France. 1493 – Battle of Krbava Field, a decisive defeat of Croats in Croatian struggle against the invasion by the Ottoman Empire. 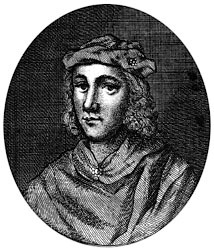 1513 – James IV of Scotland is defeated and dies in the Battle of Flodden, ending Scotland's involvement in the War of the League of Cambrai. 1543 – Mary Stuart, at nine months old, is crowned "Queen of Scots" in the central Scottish town of Stirling. 1561 – The ultimately unsuccessful Colloquy of Poissy opens in an effort to reconcile French Catholics and Protestants. 1739 – Stono Rebellion, the largest slave uprising in Britain's mainland North American colonies prior to the American Revolution, erupts near Charleston, South Carolina. 1776 – The Continental Congress officially names its union of states the United States. 1801 – Alexander I of Russia confirms the privileges of Baltic provinces. 1850 – The Compromise of 1850 transfers a third of Texas's claimed territory (now parts of Colorado, Kansas, New Mexico, Oklahoma, and Wyoming) to federal control in return for the U.S. federal government assuming $10 million of Texas's pre-annexation debt. 1855 – Crimean War: The Siege of Sevastopol comes to an end when Russian forces abandon the city. 1863 – American Civil War: The Union Army enters Chattanooga, Tennessee. 1892 – Amalthea, third moon of Jupiter is discovered by Edward Emerson Barnard. 1914 – World War I: The creation of the Canadian Automobile Machine Gun Brigade, the first fully mechanized unit in the British Army. 1922 – The Greco-Turkish War effectively ends with Turkish victory over the Greeks in Smyrna. 1923 – Mustafa Kemal Atatürk, the founder of the Republic of Turkey, founds the Republican People's Party. 1924 – Hanapepe massacre occurs on Kauai, Hawaii. 1936 – The crews of Portuguese Navy frigate NRP Afonso de Albuquerque and destroyer Dão mutinied against the Salazar dictatorship's support of General Franco's coup and declared their solidarity with the Spanish Republic. 1939 – World War II: The Battle of Hel begins, the longest-defended pocket of Polish Army resistance during the German invasion of Poland. 1939 – Burmese national hero U Ottama dies in prison after a hunger strike to protest Britain's colonial government. 1940 – George Stibitz pioneers the first remote operation of a computer. 1942 – World War II: A Japanese floatplane drops incendiary bombs on Oregon. 1943 – World War II: The Allies land at Salerno and Taranto, Italy. 1945 – Second Sino-Japanese War: The Empire of Japan formally surrenders to China. 1947 – First case of a computer bug being found: A moth lodges in a relay of a Harvard Mark II computer at Harvard University. 1948 – Kim Il-sung declares the establishment of the Democratic People's Republic of Korea (North Korea). 1954 – The 6.7 Mw  Chlef earthquake shakes northern Algeria with a maximum Mercalli intensity of XI (Extreme). At least 1,243 people were killed and 5,000 were injured. 1965 – Hurricane Betsy makes its second landfall near New Orleans, leaving 76 dead and $1.42 billion ($10–12 billion in 2005 dollars) in damages, becoming the first hurricane to cause over $1 billion in unadjusted damage. 1966 – The National Traffic and Motor Vehicle Safety Act is signed into law by U.S. President Lyndon B. Johnson. 1969 – In Canada, the Official Languages Act comes into force, making French equal to English throughout the Federal government. 1970 – A British airliner is hijacked by the Popular Front for the Liberation of Palestine and flown to Dawson's Field in Jordan. 1971 – The four-day Attica Prison riot begins, eventually resulting in 39 dead, most killed by state troopers retaking the prison. 1972 – In Kentucky's Mammoth Cave National Park, a Cave Research Foundation exploration and mapping team discovers a link between the Mammoth and Flint Ridge cave systems, making it the longest known cave passageway in the world. 1990 – Batticaloa massacre: Massacre of 184 Tamil civilians by the Sri Lankan Army in Batticaloa District. 1991 – Tajikistan declares independence from the Soviet Union. 1993 – Israeli–Palestinian peace process: The Palestine Liberation Organization officially recognizes Israel as a legitimate state. 2001 – Ahmad Shah Massoud, leader of the Northern Alliance, is assassinated in Afghanistan by two al-Qaeda assassins who claimed to be Arab journalists wanting an interview. 2002 – The Rafiganj train wreck happened in Bihar, India. 2009 – The Dubai Metro, the first urban train network in the Arabian Peninsula, is ceremonially inaugurated. 2012 – The Indian space agency puts into orbit its heaviest foreign satellite yet, in a streak of 21 consecutive successful PSLV launches. 2012 – A wave of attacks kill more than 100 people and injure 350 others across Iraq. 2013-Arctic Monkeys release their new album AM. 2016 – The government of North Korea conducts its fifth and reportedly biggest nuclear test. World leaders condemn the act, with South Korea calling it "maniacal recklessness". Arminius was a chieftain of the Germanic Cherusci tribe who commanded an alliance of Germanic tribes at the Battle of the Teutoburg Forest in 9 AD, in which three Roman legions were destroyed. His victory at Teutoburg Forest would precipitate the Roman Empire's permanent strategic withdrawal from Magna Germania, and made a major contribution to the eventual fall of the Western Roman Empire. Modern historians have regarded Arminius' victory as Rome's greatest defeat. As it prevented the Romanization of the Germanic peoples, Arminius' victory has also been considered one of the most decisive battles in history, and a turning point in world history. Publius Quinctilius Varus was a Roman general and politician under the first Roman emperor Augustus. Varus is generally remembered for having lost three Roman legions when ambushed by Germanic tribes led by Arminius in the Battle of the Teutoburg Forest, whereupon he took his own life. 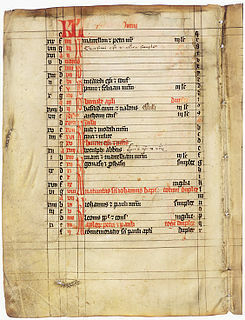 Year 214 (CCXIV) was a common year starting on Saturday of the Julian calendar. At the time, it was known as the Year of the Consulship of Messalla and Suetrius. The denomination 214 for this year has been used since the early medieval period, when the Anno Domini calendar era became the prevalent method in Europe for naming years. Aurelian was Roman Emperor from 270 to 275. Born in humble circumstances, he rose through the military ranks to become emperor. During his reign, he defeated the Alamanni after a devastating war. He also defeated the Goths, Vandals, Juthungi, Sarmatians, and Carpi. Aurelian restored the Empire's eastern provinces after his conquest of the Palmyrene Empire in 273. The following year he conquered the Gallic Empire in the west, reuniting the Empire in its entirety. He was also responsible for the construction of the Aurelian Walls in Rome, and the abandonment of the province of Dacia. Year 384 (CCCLXXXIV) was a leap year starting on Monday of the Julian calendar. At the time, it was known as the Year of the Consulship of Ricomer and Clearchus. The denomination 384 for this year has been used since the early medieval period, when the Anno Domini calendar era became the prevalent method in Europe for giving names to years. Year 1000 (M) was a leap year starting on Monday of the Julian calendar. In the proleptic Gregorian calendar, it was a non-leap century year starting on Wednesday. It was also the last year of the 10th century as well as the last year of the 1st millennium of the Dionysian era ending on December 31st, but the first year of the 1000s decade. Saint Ciarán of Clonmacnoise, supposedly born Ciarán mac an tSaeir ), was one of the Twelve Apostles of Ireland and the first abbot of Clonmacnoise. He is sometimes called Ciarán the Younger to distinguish him from the 5th-century Saint Ciarán the Elder who was bishop of Osraige. His name produced many variant spellings, including Ceran, Kieran and Queran. The Sanctuary of Our Lady of Arantzazu[aˈɾants̻as̻u] is a Franciscan sanctuary located in Oñati, Basque Country, Spain. The shrine is a much appreciated place among Gipuzkoans, with the Virgin of Arantzazu standing for the main worship figure and patron of the province along with Ignatius of Loyola. Independence Day or Republic Day, celebrates the proclamation of Democratic People's Republic of Korea (North Korea) in 1948. Independence Day (Tajikistan), celebrates the independence of Tajikistan from USSR in 1991. Charles Fuge Lowder was a priest of the Church of England. He was the founder of the Society of the Holy Cross, a society for Anglo-Catholic priests. November 18 is the 322nd day of the year in the Gregorian calendar. There are 43 days remaining until the end of the year. ↑ Michael, Paul; Parish, James Robert (1969). The American Movies Reference Book: The Sound Era. Englewood Cliffs, N.J.: Prentice-Hall. p. 123. ISBN 9780130281340. ↑ "Sonia Sanchez, poet and sister". African American Registry. Retrieved 2019-01-31. ↑ Leszczak, Bob (2015). From Small Screen to Vinyl: A Guide to Television Stars Who Made Records, 1950-2000. Lanham, Md. : Rowman & Littlefield. p. 57. ISBN 9781442242739. ↑ Scott, Cavan; Wright, Mark (2018). Whoology: Doctor Who: The Official Miscellany. London: BBC Books. p. 120. ISBN 9781785943027. Wikimedia Commons has media related to September 9 .